The five bodies were found not far from where 43 teachers students went missing, but authorities have concluded that the latest corpses are most likely unrelated to the case. Mexican authorities say they have found another five beheaded bodies inside of a van in the indigenous community of Chilapa, located in the country’s southwestern state of Guerrero. The corpes found Saturday night were not far from where 43 missing Ayotzinapa students are feared to have been killed by drug gangs. The five people appear to have been kidnapped last Wednesday and were traveling in the van, according to local press reports. The bodies were discovered after rescuers and municipal police put of the fire that had engulfed the van. “According to forensics there are five charred and beheaded bodies,” local authorities said, also concluding that the bodies were most likely unrelated to the case of the 43 missing students from Ayotzinapa. Officials added that they are waiting for the forensic service to identify the bodies. The incident takes place three days after 11 beheaded, charred bodies were found in the same municipality, where gang violence is rampant. 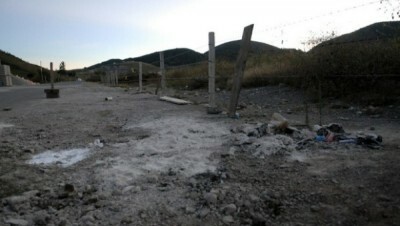 The town of Chilapa, which is situated 323 km south of the capital, Mexico City, witnessed a violent confrontation between gangs in July, leading authorities to enforce a curfew for several days. The area is well known for its high production of marijuana and opium poppy. At least 500 Army troops and 30 police agents were sent to tighten security in Chilapa, according to Mayor Francisco Janier Garcia, who admitted to feeling overwhelmed by the situation. According to some analysts, drug cartels pay over US$100 million per month in bribes to municipal police officers. Since President Enrique Peña Nieto was elected, 30,789 people have been killed.